Although availability of the first beta of LapTimer Rookie Android is some weeks ahead, I thought I make the testing system available for registration already. Please read through the text below. In case you agree and want to participate, please use the link in the bottom to register yourself and your device to Testflight, the system I plan to use for alpha / beta testing. 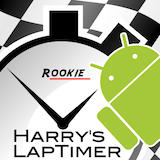 To participate in LapTimer Rookie Android alpha and beta testing, you need to sign up here. Please do not expect the first test version to become available ahead of 2nd week of June and do not request updates on the schedule. Early version will miss stability and miss some features. Please do not participate in case you expect a production ready app. Please participate only in case you are able and willing to test LapTimer and give intensive feedback on your experience. No information I will make available during testing must be passed on, or commented on outside the LapTimer Android tester community. Please send any feedback using Testflight. By signing in into Testflight, you agree to this. To receive builds, you need to register your Android device. Requirement for the devices used is API level 11 and above, which is Android 3.0 or later. All screen sizes will be supported, but Normal will be optimized best (the typical high end smartphones, not tablets). Please check viewtopic.php?f=11&t=1369 for further information. In a later stage, I will probably make a dedicated forum available. 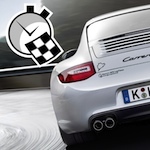 So if you are no forum user yet, consider to register at http://forum.gps-laptimer.de now. Looking forward to a productive and inspiring testing phase. Testflight registration done. Keep up the good work. Registered. Keep up the great work. Thanks! Registered , but no app yet ??? gogokol wrote: Registered , but no app yet ??? In case you want to stay in the beta program, you really need to read my notes! Just registred ... thank you for the work. Super, dass jetzt auch nicht Äppel-Nutzer diese super App bekommen !